These are lyrics by Third Eye Blind that we think are kind of repetitive. 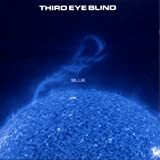 Third Eye Blind's, "Semi-Charmed Life"
Okay, I love this song, but how many times can you say 'doo-doo-doo' in one song? Sounds like somebody's got the runs.